Die Mehrzahl der Reporter hier scheint aus Russland zu sein,. Bin gespannt, was sie machen, ob es konzertierte Aktionen gibt. 11.17 Uhr: Der unvermeidliche François Carrard ist auch da, lebender Interessenkonflikt, IOC-Rechtsberater, langjähriger Generalsekretär, mit seiner Kanzlei für mindestens ein halbes Dutzend olympische Weltverbände gleichzeitig tätig. Mal auf dieser, mal auf der anderen Seite, manchmal quasi zugleich. 11.22 Uhr: Da isser, der Matthieu Reeb. Einsprüche abgelehnt. Was das IOC-Exekutivkomitee und die beiden IOC-Kommissionen (OARIP, OARIG) entschieden haben, seien keine Sanktion sondern eine berechtigte Entscheidungen. Meine Übersetzung, wie seit eh und je: Das IOC hat halt sein Hausrecht ausgeübt. Thank you very much for your attention and have a good day. 11.36 Uhr: Es ist die erwartete Entscheidung. Habe mit nichts anderem gerechnet. Die erste Erklärung steht online, in Kürze sollen die begründeten Beschlüsse folgen, sagte Reeb. Copy & paste. 14.47 Uhr: … noch ist nichts passiert. 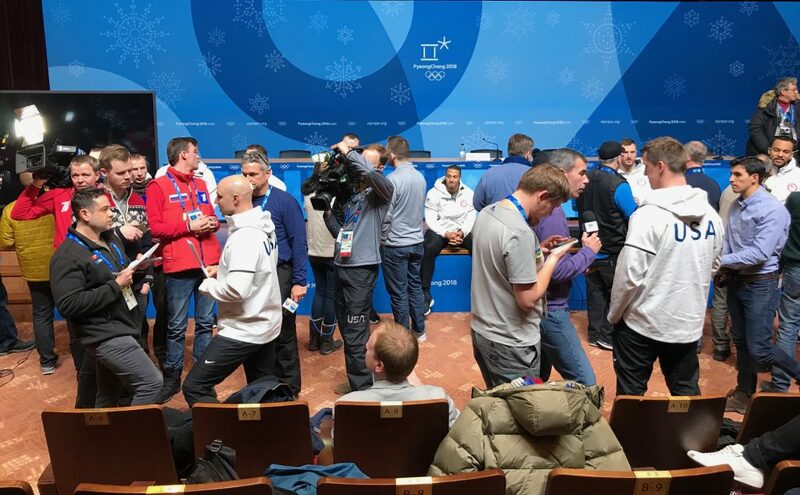 Eine Menge Leute, auch aus der Medienbranche, machen im IOC-Hotel Fotos und Videos. Komische Regeln gelten halt nicht für jeden. Ach Quatsch, ich habe ja gegen keine Regel verstoßen und eben nicht „gefilmt“ im IOC-Hotel. 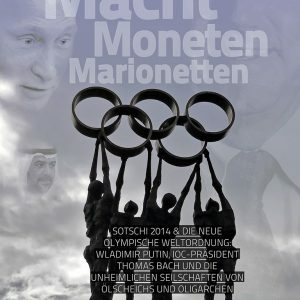 Das ist erstunken und erlogen von den IOC-Medienleuten und welchen IOC-Mitgliedern auch immer, die sich über meine Anwesenheit und meine Berichte beschwert haben. 14.58 Uhr: Sie sehen alle so lustig und so anders aus unter ihren dicken IOC-Mützen und in Sportklamotten, da viele heute ja beim Fackellauf mitmachen. Leider kann ich keine Fotos machen, sonst bin ich die Akkreditierung los und komme ins IOC.-Zuchthaus. Ich freue mich immer, wenn meine Analysen im IOC diskutiert werden. Tags darauf gab es die Verwarnung für nichts und die Drohung, mir die Akkreditierung zu entziehen. Promi-Alarm im Intercontinental, so kurz vor der Eröffnungsfeier. 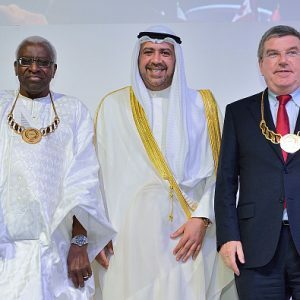 UN-Generalsekretäre (alt und neu), einige Staatschefs, ein Altkanzler tauchte gestern beim Präsidenten-Dinner auch auf, CEO’s von Weltfirmen und IOC-Sponsoren, IOC-Mitglieder, von denen sich viele auf dem Gipfel der Welt wähnen … ziemliches Gewusel hier. Muss aber sagen, dafür sind die Sicherheitsmaßnahmen echt entspannt. Kann daran liegen, dass das Alpensia-Resort schon in großem Umkreis abgeschirmt ist, quasi mehrere Sicherheitsringe, so dass ohnehin nur reinkommt, wer etliche Sicherheitschecks durchlaufen hat. Noch kommen die letzten IOC-Mitglieder vom Fackellauf (Lindberg, Prinz Albert, Oswald, Samaranch etc), schon werden die Vorbereitung für die Eröffnungsfeier getroffen. Alle VIPs wollen gut gewärmt sein. 17.51 Uhr: So, Live-Blog oder nicht in zwei Stunden von der Eröffnungsfeier? Stammgästen kann ich schon mal sagen: Ich werde ausnahmsweise nicht neben meinem Lieblingseröffnungsfeierpartner Herrn G. sitzen. Denn ich bin nicht im Stadion. Herr G. aber schon. Da ich diese Wiunterspiele ohne lange Unterhose, Handschuhe, Schal und Mütze überstehen will, verzichtete ich darauf, mich für ein Ticket zu bewerben. Stattdessen schnell noch eine Nudelsuppe mit scharfen Fleisch – und dann zurück ins MPC, wo ein gut beheizter Arbeitsplatz wartet. * * *Bis gleich in diesem Theater! Beim Überfliegen scheinen mir diese Passagen am wichtigsten, ab Punkt 7. Sorry, wenn das sehr lang wird. 7.3 This Panel is faced with evaluating an unprecedented response to an extraordinary situation, that is, a state-sponsored doping scheme. 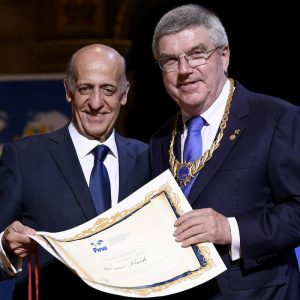 Was the IOC established process a sanction? 7.4 The process established by the IOC to establish an invitation list of Russian athletes and support staff as OAR cannot, in the Panel’s view, be described as a sanction, as argued by the Applicants; rather, it is more properly characterized as an eligibility decision. In establishing a process that provided individual athletes and support staff with the opportunity to be invited to participate, the IOC did not deprive the Applicants of any “right” they may have had to participate. 7.5 The Panel finds that the process was designed to protect the rights of individual Russian athletes and support staff, who were not been implicated in the state- sponsored doping scheme, by an expert panel rather than the “sanction” of any particular athlete and support staff “without proof” as asserted by the Applicants. The Panel concludes that the process was a considered and measured response to the confirmed state-sponsored doping scheme. “Any entry is subject to acceptance by the IOC, which may, at its discretion, refuse any entry, without indication of grounds. Nobody is entitled as of right to participate in the Olympic Games”. 7.7 Once the IOC suspended the ROC, the ROC no longer had any right to enter athletes and support staff into the Olympic Games. As a result, no Russian athletes could, in normal circumstances, be entered into the Games. The ability of the IOC to suspend the ROC was not challenged. The Panel notes that the Swiss Federal Tribunal dismissed the Russian Paralympic Committee appeal from CAS decision CAS 2016/A/4745 which had dismissed the Russian Paralympic Committee’s appeal against its suspension by the International Paralympic Committee for the 2016 Summer Paralympic Games in Rio de Janeiro (4A_470.2016). 7.8 The IOC nevertheless chose to offer individual athletes, who the Panel notes were part of the impugned Russian sport system, the opportunity to participate in the Games under prescribed conditions – a process that was designed to balance the IOC’s interest in the global fight against doping and the interests of individual athletes from Russia. 7.9 The process by which the IOC determined which athletes would be offered that opportunity was left to the discretion of the IRP and the OAR IG within the parameters established by the IOC. 7.10 In CAS 2016/O/4684, the CAS Panel found that an IAAF rule enabling an athlete to apply for permission to compete as a neutral athlete if they could clearly and convincingly demonstrate that they were not tainted by the Russian system was a permissive rule. The panel concluded that a rule allowing eligibility to be regained if specific conditions were satisfied could not be construed as a sanction. 7.11 During final submissions, counsel for the Applicants acknowledged that the IOC had the ability to institute the process it did. Was the IOC established process discriminatory, arbitrary or otherwise unfair? 7.12 Mr. Gunter Younger, Head of the WADA Intelligence & Investigations Department and a member of the IRP, testified about how the IRP established the criteria it applied in developing the invitation list and the methodology used. 7.13 Ms. Hoevertsz testified that the Panel reviewed the information relied on by the IRP and endorsed both the methodology and the list. Further she testified that on 4 February 2018, the OAR IG met to review an additional list, which included the Applicants. She confirmed although the OAR IG was aware of the CAS decisions of 1 February 2018, nevertheless determined to apply the same criteria and methodology. The OAR IG declined to issue further invitations. 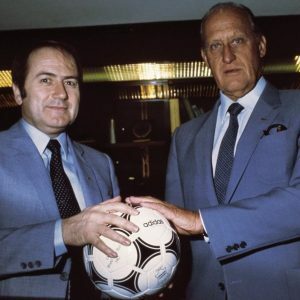 7.14 The Panel accepts the evidence of the witnesses, whom it found to be credible and reliable, that they acted independently in their roles and that they developed and applied criteria that were rationally connected to their mandates; that is, to enable individual Russian athletes and support staff they considered to be “clean”, or there were suspicions they were implicated in, or protected by, the Russian doping scheme, the opportunity to compete. 7.15 The Panel accepts that the members of the IRP and OAR IG approached their mandate in good faith and applied the criteria to each of the 500 athletes identified by the ROC (suspended) in a consistent manner. The Panel further finds that the assessments were made anonymously to avoid any possible discrimination or bias. The Panel notes that the IRP and OAR IG were required to evaluate a large number of athletes in a very short period of time and that the process may not have been a perfect one due to time constraints. However, the Panel finds that, in the circumstances, the assessments were made, as far as possible in the circumstances, in an appropriate and fair manner. arbitrary, unfair or unreasonable manner. 7.17 The Panel notes that almost 80% of the athletes put forward for invitation by the ROC were accepted by the IRP and OAR IG. 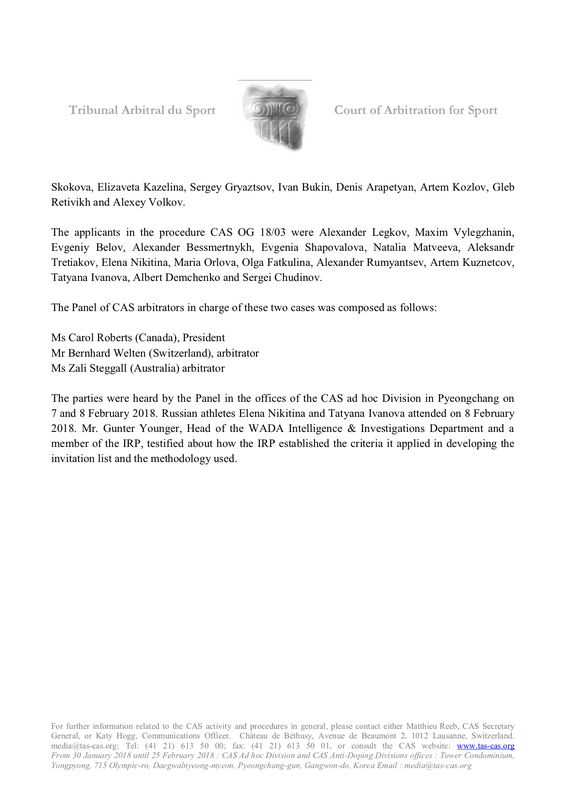 That the individual Applicants failed to meet the criteria suggests that there was some evidence that there were suspicions they were implicated in, or protected by, the Russian doping scheme notwithstanding the CAS decisions of 1 February 2018. 7.18 It may be that non-sanctioned individual athletes, including the Applicants, are prevented from participating in the Olympic Games simply because they are citizens of a country that has been found to have engaged in a systemic manipulation of the anti-doping rules. 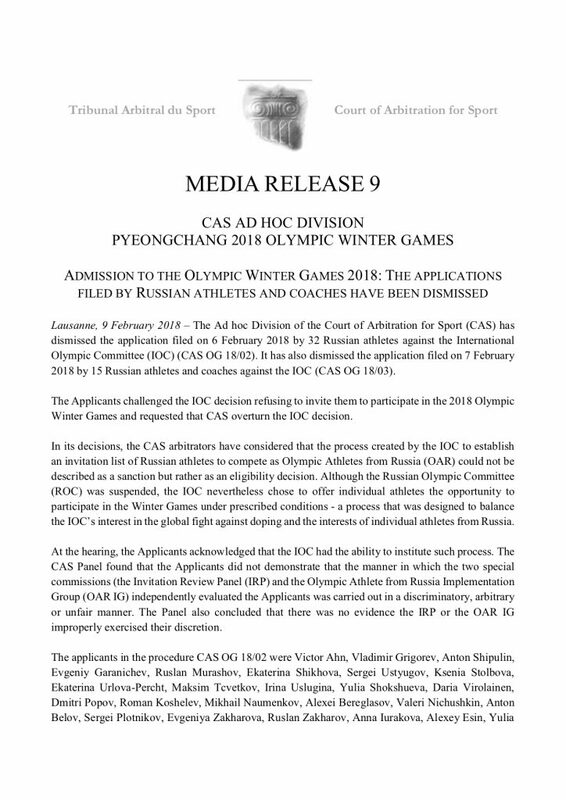 However, in light of the IOC’s overall objective to balance the interests of clean athletes and the fight against doping against the interests of individual Russian athletes, the Panel concludes that any unfairness was a consequential effect of the suspension of the ROC and that the process was neither discriminatory nor unfair (see also CAS 2015/A/4319). 7.19 The Panel appreciates the distress and disappointment expressed by the Applicants present at the hearing about their loss of opportunity to participate at the OWG 2018, particularly because they believe the CAS decisions issued 1 February 2018 proved that they were not “cheaters”. As this Panel has noted, we are only deciding whether the process implemented by the IOC, in circumstances where the ROC was suspended and has failed to rebut the evidence of systemic manipulation of the anti-doping rules and system in Russia, was permissible and provided a fair opportunity for some athletes to be offered an opportunity to participate at the Games. The Panel has determined that the process, while it may have been imperfect due to time constraints, was appropriate, independent and fairly carried out. „Hausrecht“, das trifft es wohl. Per „Hausrecht“ darf das IOC nach Gutdünken notorische Doper starten und Gold gewinnen lassen, wenn sie gerade mal nicht gesperrt sind. Andere aber ohne jegliche Transparenz und Beweise „ausladen“. Bei Langläufern und dergleichen sieht die (Nicht-)Zulassung komplett wahllos aus, habe ich ja schon geschrieben. Und der alte Dimitry Vassiliev darf wohl nicht mitmachen, weil er 2001 mal ein Abführmittel eingenommen hat, großartig! Ist es mir egal, ob ein paar Hundert Doper nicht dabei sind? Nein. Das ist okay, ob die Typen nun aus Russland, Deutschland, Norwegen oder den USA kommen. Öffentliche Räume unter dem Deckmantel des Sports per Hausrecht regeln, pfui! Andererseits nichts, was das IOC exklusiv hätte (ja, DFL, Dich schaue ich an). Aber man soll ja immer bei sich selber anfangen, Und ich möchte einen der größten Journalisten unserer Zeit unproduktiv bei der Eröffnungsfeier gebunden haben. Einfach nur zu meiner persönlichen Belustigung. Wie inkonsequent macht mich das? Unabhängig davon möchte ich dies trozdem. Und eine Foto mit dem Maskottchen mit der Penisnase habe ich auch noch nicht bekommen. Ich halte davon auch nichts. Und auch nichts von russ. Verschwörungstheorien. Aber für mich hat das schon was von „Wir zeigen jetzt Härte gegenüber ein paar Russen und lassen uns davon von der westlichen Welt und deren Medien feiern und das überdeckt dann hoffentlich unsere zigtausend anderen Sauereien“. @Sternburg: Hausrecht hab ich flink geschrieben. Bin mir nicht mal sicher, ob das so hundertprozentig der richtige Begriff ist. Vielleicht aber doch. 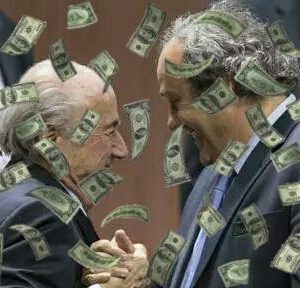 Schreibe es ständig, seit Jahren: Dem IOC gehören die Spiele. Gemäß Charta entscheidet es allein darüber, wer die Bedingungen einer Teilnahme erfüllt – oder andersrum: das ROC hätte gemäß Charta problemlos (echt) suspendiert und von Olympia ausgeschlossen werden müssen, schon für Rio. Die Charta gab und gibt das her, ob man nun Hausrecht dazu sagt oder nicht. Abr die ‚Einzelfallprüfung‘ musste her für hunderte ‚Einzelfälle‘ eines Dopingsystems, in dem der Geheimdienst u.a. die Aufgabe hatte, eine nachträgliche ‚Einzelfallprüfung‘ zu verunmöglichen. Ich hätte eine technische Rückfrage (falls sie hier falsch platziert ist, bitte ich um Nachsicht): Ich habe den Olympiapass am 5.2. geordert und auch die Bezahlung angewiesen, bin freilich in dieser Hinsicht ganz old school und habe das per Überweisung im online-Banking getätigt. Dass dieses Prozedere etwas dauert, war mir schon klar. Nun, nach 4 Tagen frage ich mich aber doch, ob es an der Dauer des Zahlungsvorganges liegt oder ob ich sonst noch etwas tun muss, um hinter die Bezahlschranke zu kommen? Es wird aber bald Beiträge geben, die hinter der Schranke verschwinden. Und einiges Alte ebenfalls. Was die olympischen Sportskameraden aus dem großen Land angeht, finde ich es zumindest immer wieder auf eine etwas bizarre Weise amüsant, (mehr oder weniger) offizielle Stimmen jammern zu hören, wie ungerecht sie doch behandelt würden. Und dass der CAS ja schließlich einwandfrei bewiesen habe, dass sie bei ihren Heldentaten zum Ruhme von Präsident und Vaterland allesamt superblitzeblank sauber gewesen wären! Sternburg und cf haben alles verpasst. Das Thema Maskottchen hatten wir am ersten Tag. Und ich habe geliefert. Einer muss ja – um der Tradition gerecht zu werden – die unbequemen Fragen stellen: Wann ist mit Soohorang, Weinreich und der Befüllung der Kammer des Schreckens zu rechnen? Kommentatoren wie Arnulf sind im Grunde Inquisitoren. Und Hausherren wissen (manchmal) um ihre Pflichten. Wenn mir lebende Exemplare über den Weg laufen sollten, wird selbstverständlich ein besseres Foto nachgetragen. Potzblitz! Damit war ja nun wirklich nicht zu rechnen. Am ersten Tag?! … Muss ich mir Sorgen machen?? Hausrecht ist schon der richtige Begriff. Es gibt zumindest keinen bessern. Außerdem ist er durch die Olympische Charta und – ganz wichtig – durch das internationale Völkerrecht abgesichert. 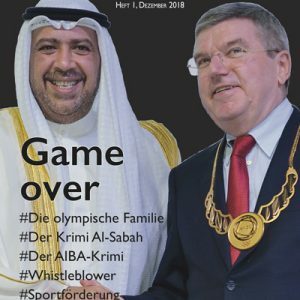 Da das IOC – eigentlich ja nur ein internationaler Verein – das Recht hat, Akkreditierungen auszusprechen und die Bedingungen für die Teilnahme von NOKs und deren Sportlerdelegationen festzulegen, übt es sein Hausrecht aus. Daran gibt es mE nichts zu deuteln. Die Frage, die bleibt, ist natürlich, wie das IOC sein Hausrecht ausübt. Und da beginnen die Probleme. Wie immer unterliegen Interpretationen von Charta und Regeln den herrschenden Machtverhältnissen in einem Staatenbündnis bzw. einer internationalen Organisation. Nach strenger Auslegung der Olympischen Charta dürfte eigentlich kein NOK und dessen Delegation, das auch nur gegen ein vereinbartes Prinzip der Charta verstößt, zu den jeweiligen OS eingeladen werden. Aber bekanntermaßen gilt: Wo kein Kläger ist, da ist kein Richter. BTW, die nicht eingeladenen russischen Athleten als Doper zu bezeichnen, ist zumindest fahrlässig. In D gäb´s sicherlich eine einstweilige Verfügung. @cf: Es kommt sicher ein wenig auf Material und Belichtung an. 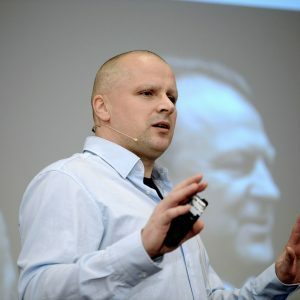 Auf Jens‘ Foto finde ich die Nase immer noch ziemlich irritierend. Wenn auch nicht ganz so irritierend wie hier. Das oberste Sportgericht verweigert 47 klagenden Russen den Olympia-Start. 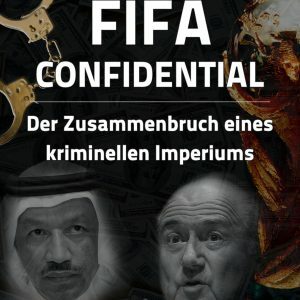 Doch im Cas-Urteil ist die Rede von einem „staatlich geförderten Dopingsystem“ – das konterkariert die bisherige Bewertung der Affäre durch das IOC. Würde mich vor vielen Interpretationen hüten. Ich finde, man kann nicht erst CAS rügen und kurze Zeit später das ziemlich toll finden. Vielleicht übertreibe ich da, aber Bach macht es ähnlich. Will sagen: Es bleibt, so oder so, ein Gremium, das keinesfalls unabhängig agiert. Im Gegenteil. ich halte nichts von dieser IOC-nahen CAS-Konstruktion. Wobei ich, wenn ich’s schreibe, darüber nachdenke, ob ich das damals bei Pechstein auch schon so gesehen habe. Eher nicht. Man lernt dazu. Habe die beiden begründeten Urteile oben nachgetragen. Stimme zu. Zeigt doch nur das Dilemma, wenn sich der CAS in der Urteilsbegründung verheddert. Ein Regelwerk ist nie perfekt. Es sollte jedoch zumindest darauf achten, dass es sich nicht unglaubwürdig macht. Hast Du nicht. Quelle: Ich erinnere mich daran, dass ich damals die Einschätzung des Schweizer Bundesgerichts, es mit einem zulässigen Schiedsgericht zu tun zu haben, vertretbar fand. Ich würde mich wohl erinnern, wäre Deine Ansicht abweichend gewesen. Wobei ich mich dunkel zu erinnern meine, dass ich mir damals schon auf Grund der Struktur des CAS eine solche Einschätzung nur von Fall zu Fall anhand der jeweils eingesetzten „Richter“ zutraute. Bzw. in Bezug auf den Pool an Richtern. Dessen Zustandekommen ich damals schon abstrakt nicht ganz verstanden habe. Sollte sich daran nichts geändert haben, dann lohnt es sich eventuell, diesen Aspekt nochmal näher anzuschauen. Überflüssig zu erwähnen, dass ich sowohl dazu, als auch zum nachschauen, wie derzeitig dessen Struktur ist, selber zu faul bin. Die fünfmalige Goldmedaillengewinnerin, Claudia Pechstein, ist nach der Entscheidung der Disziplinarkommission des Eisschnelllauf-Weltverbandes (ISU) bis 9. Februar 2011 „wegen des Gebrauchs der verbotenen Methode des Blutdopings“ gesperrt. Wäre heute auch interessant, den damaligen DOSB-Präsidenten Thomas Bach sowie den Präsidenten der Gemeinschaft deutscher Olympiateilnehmer und DOSB-Athletensprecher Christian Breuer zu ihren Stellungsnahmen von 2009 zu befragen. Ich sehe ehrlich gesagt kein Problem darin, wenn das „Höchste Gericht“ des Weltsports zu dem Urteil kommt, dass es sich um ein staatlich unterstütztes Doping-System oder Russisches Doping-System handelt und dieses auch so formuliert. 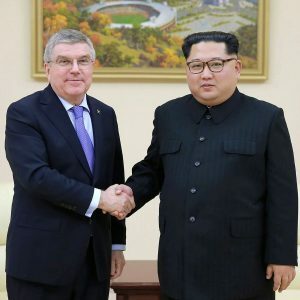 Das man im IOC diese Formulierungen vermeidet steht auf einem anderen Blatt.